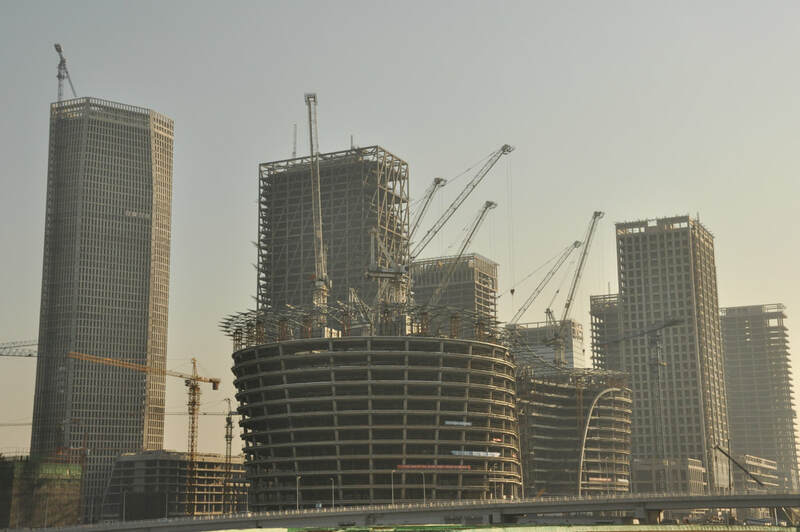 Tianjin's "Little Manhattan" was slated to have its own Julliard School, Javitz Center, Hudson River, and Twin Towers. Also, mysteriously, the Sydney Opera House and the Mall of America. 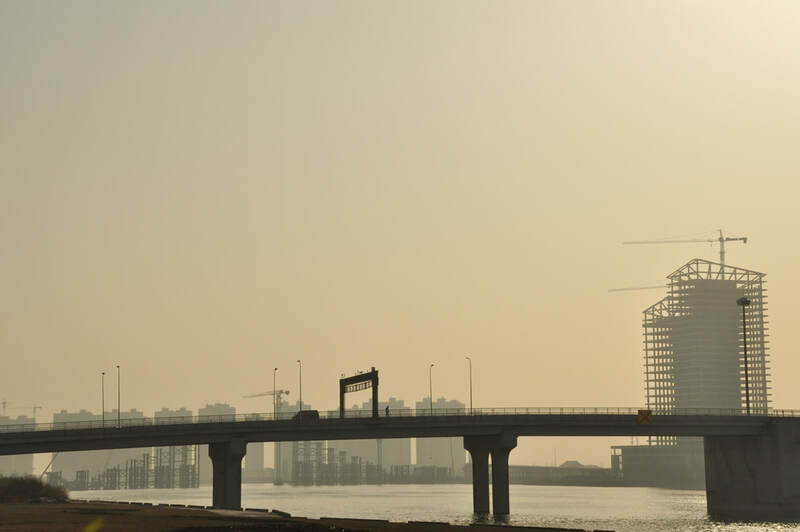 The Binhai District of Tianjin has borrowed roughly roughly the GDP of the whole city to build its Yujiapu Zone (one of nine zones in Binhai). And they will damned well fill it up. Digging a "Hudson" in Yujiapu was among the efforts to make the "new financial zone" more Manhattan-like. But after being publicly ridiculed, the zone authorities played down the efforts to replicate Manhattan. This super-sized nesting doll is the centerpiece of a park where there are dolls dedicated to famous figures in each country. Walt Disney represents the U.S. This is a vocational school. 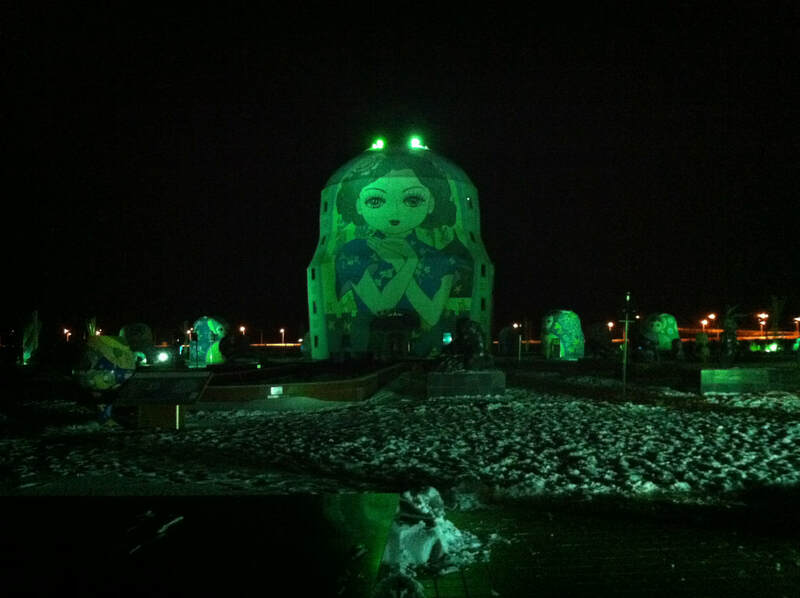 Matryoshka Square at the center of the city has a square with a huge nesting doll that makes for a scary nightscape. This "orthodox church" was built exclusively for photo opportunities. Originally called "Little Florence," developers seem to have been told that Florence is landlocked. 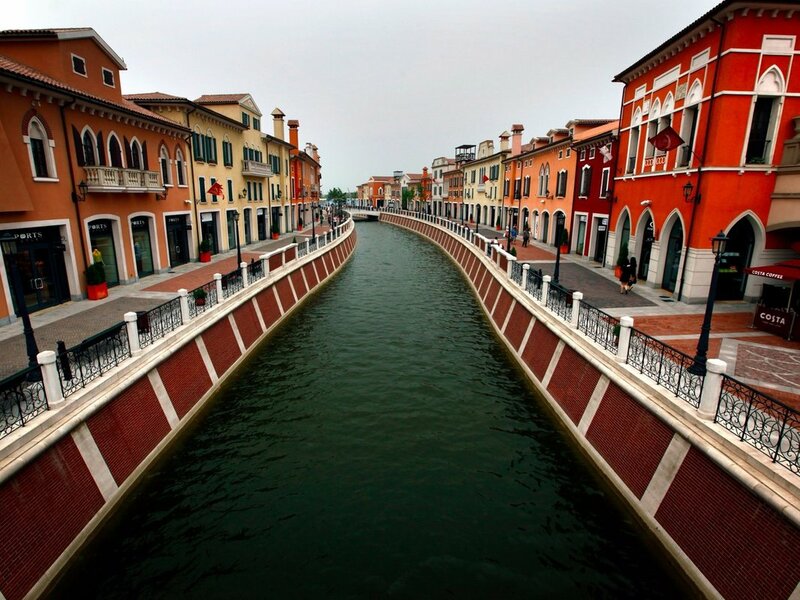 This Venetian replica city doubles as a shopping mall and lies outside of Tianjin. Photo from Business Insider 2015. 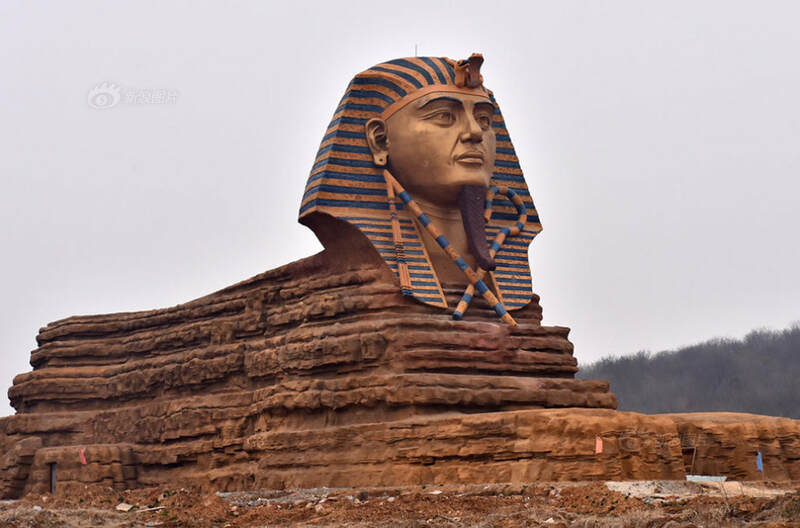 Anhui Province's sphinx. Photo: That's Magazine. 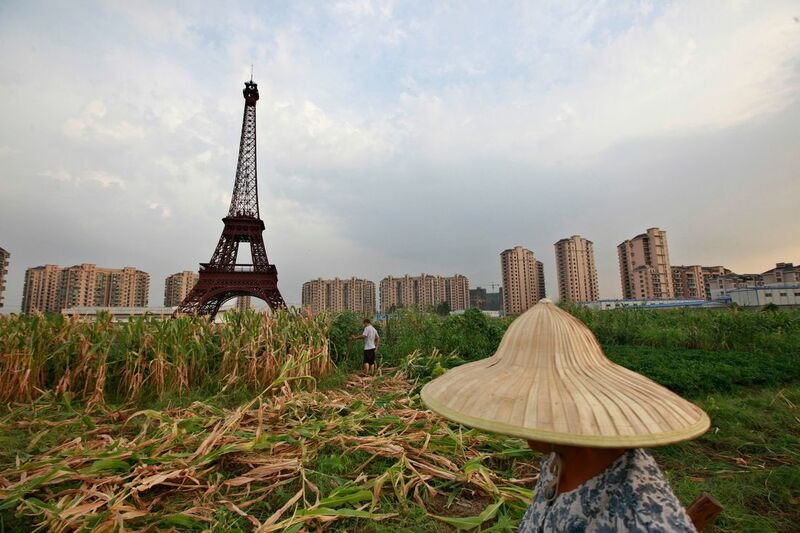 This Eiffel Tower is in Zhejiang Province. 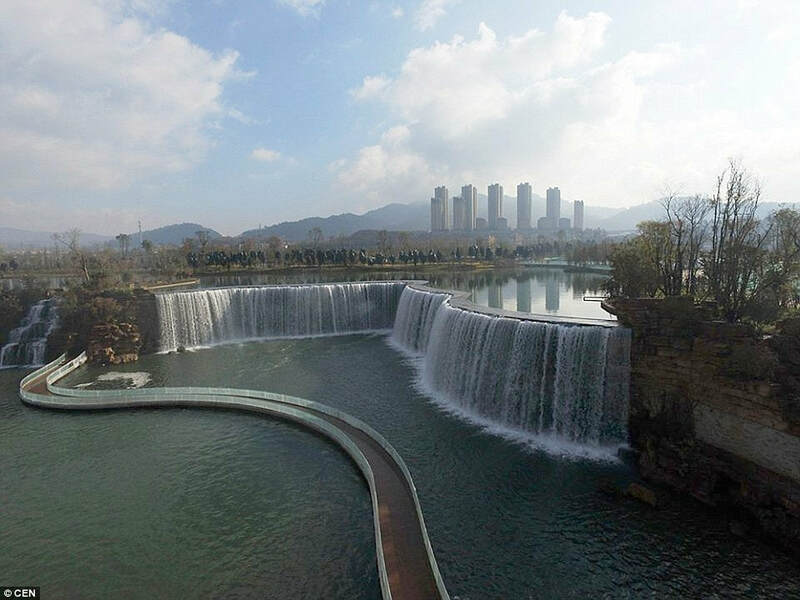 Photo is from Quartz. 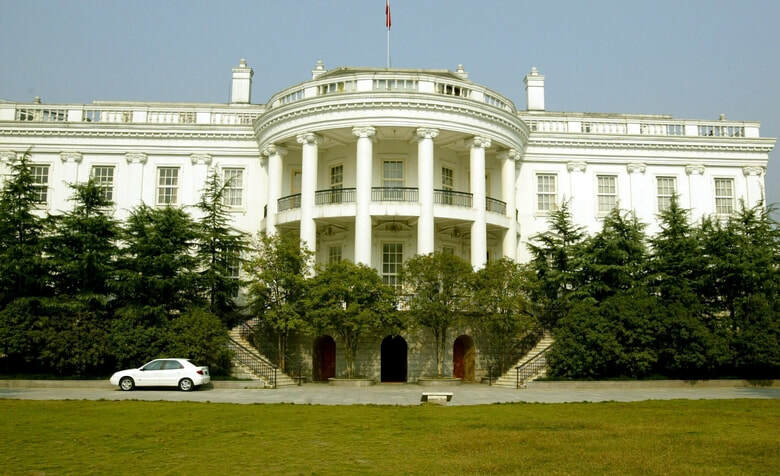 The Hangzhou White House. Photo by Seattle Times.